Canterlot, the City of the Princesses. It's been a while since you've last been here. The Prancing Horse is an old inn. The wooden furniture shows history in the cracks and carvings made by customers throughout the years. Some older ponies smoking pipes are playing cards in the corner. The innkeeper with a bushy moustache is cleaning the counter. Soil is in the drinking hall, Iris is upstairs getting ready in their room. Indy is outside in the animal stable, eating gems. Amber and Silver haven't arrived yet. Soothing is coincidentally in a room in the inn as well, contemplating what to do next. Mabel isn't there yet, but a curious pony might notice a phoenix by the window. Ponies/donks/griffons not yet in the inn must roll a Survival check now. Inn ponies may behave as they wish. I can almost feel the reunion! Keep glaring at the door, sure Amber and Pico will burst through at any momeny! I'm not a survival pony! As you make your way into Canterlot, you follow Inferni who's flying above. Unfortunately when he crossed a roof you lost track of him. You're quite sure the inn can't be too far anymore. You know it was close to the royal district. You make a slight miscalculation in your landing and land in the animal stable instead….on top of a huge orange dragon. He looks up from his gems towards you with a certain curiosity in his eyes. And it shows! Only once you and Silver get off the train in Canterlot do you realize you don't have a map and no idea where the meeting place is! Don't I know that guy? "Hey… I remember you. You were having trouble with your little dragon!" Just keep wandering around, I'm sure it can't be far away then! "Silveeeer! We need to figure out where to go or we'll never find them! Don't you remember?" Silver gets the letter you both got from Soil out of his saddlebag. "Hmmmm, it says here we have to go to….the Francing Hoers Inn? Did I read that correctly? This hoofwriting is hard to read…"
You walk into an alleyway and see a cloacked griffon waving to you. And for the sixth time, tell her I will take another dark ale. But as soon as Soothing sees me, I will stop her. Better make that two. "You are the freaky mage!" Stand up and trot over, slapping you in the back in a friendly pat. "Wow, they have everything here…"
"Umm, excuse me, are you Indy?" Try to read it! What's that, investigate? He grabs you and pulls you off his scales. "Yes…who are you? You look like Pico, but smaller…"
HE OPENS HIS CLOAK. There are all different gems statuettes hanging inside. The handwriting is hard but you make out that it's the Prancing Horse Inn, near the Royal District. You can see the Palace from here, so it would be good to go that direction. "Resting between travels. 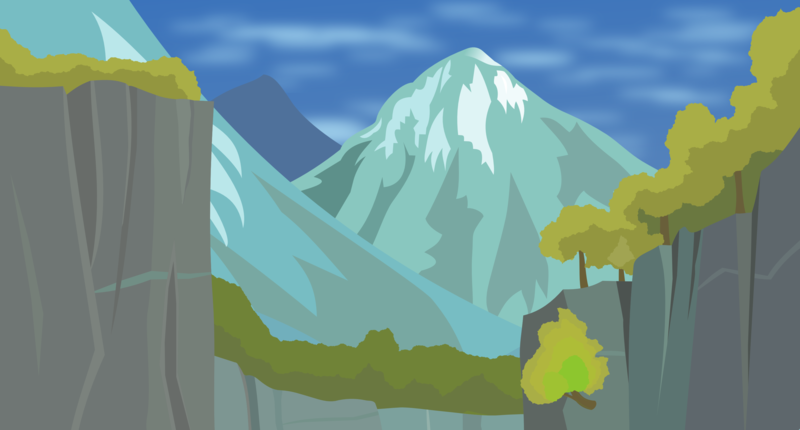 I lived in Canterlot for a short while years ago so I figured I ought to come back here to plan my next move. The dragons were fun to be around, but dodging firebreaths and tailslaps became a little too much for me." "Prancing horse inn, that's the one! Come on! Quick quick!" Drag Silver along as I begin a gallop. "Eh, yeah, I'm related to him. He sent me to come meet his friends, Soil and Iris and Amber. Are they inside?" "Ah yes, those were two fun weeks while Indy was getting used to his new size." That was quite a run, a nice drink will do you good inside the inn. The crystal is nothing more than colored glass. One of the oldest tricks in the book. "I think I can get coloured glass for a cheaper price, thanks." "So, how's your dragon holding up these days? He seemed really lost last time." Don't even slow down. No brakes on this pony. "He had important duties to attend to. He's a big deal ever since he came back from Equestria, and he's training me too!" Ruffle through the bag, looking for my letter of introduction and instructions. "Here you go! He said to give this to everyone." "Got a hang of himself, that kid. Got to parade around as a hero, too, so that helps. Still bothered by that whole too-large-for-ceilings thing. I could understand too-large-for-doors, heck, pa' knows if I broke a few down myself, but that dragon? He barely fits in a barn now!" you might wanna start asking around for directions? You don't stop your gallop but storm right into the house, roll a reflex save to manage to perfectly run right up to Soils table, if you fail you'll run right into somepony. "Pleasure to meet you, but Pa is inside, you know for safety!" He picks you up and puts you near the window. You see a yellow shiny pony running inside the inn and another silvery pony running a bit slower going after her. "Kind of to be expected for a dragon, no? If their greed doesn't make them grow, their innate magic will. Can't change much about that unless you want to stunt his growth somehow." "I could spare a coin if you tell me where the Prancing Horse inn is." Drop everything I'm doing, gasp and run into her! "Which one is your 'Pa'?" "Oh wait, nevermind, he matches the description." "Thanks, I'll go in and introduce myself." You both run into each other and stumble backwards over the floor in a hug. That does seem like him. You see all sorts of hugging going on. Roll my eyes and give him two. Use the advantage to quickly run her head in, exultating as I see her again. YOU ARE ALL GROWN UP!" "Wow, you're getting… really friendly with each other." Thank the Dragon and walk on in. "Er, eh, I'm not interrupting any ceremony, am I, Mister… Soil?" "Uh? No, I am Mister Soil!" "What do you mean! I've been grown up for ages!" Still I return the hug and pat his back with a hoof. "I'm Ferriro, Queren sent me to assist you all in getting to Hyperborea!" He points to the left. Silver steps in as well. "Queren? He didn't come himself? Is he ok?" Time to let go and pick us both from the floor. "I mean you are almost as tall as your hammer now!" Roll over and smash shoulders with him. And then finally turn to the newcomer. "Wait, why isn't Pico here?!" "I'm coming back to take the coins back, and some for the bother, if that's not right." Smile at him and depart there. "Oh, you didn't know? His time here really pushed him up in Picostead. He's dealing with a lot of things going on up there. But he's training me, so that's why he sent me to guide you there. Oh, and I can't forget to apologize on his behalf for not being here." "Soon I'll be bigger than you, Soil!" You see indeed an inn with a sing of a Prancing Horse. And on top of the sign you see Inferni cleaning his feathers. Put a hoof on his shoulder and get all fatherly. "It's okay son, I'm just gonna have to give him a bloody beak once we get to him!" "Just remember to drink your ovaltine." "That's a shame! You're his brother or something?" "I hope you don't. But we'll have to wait until sunrise at least. I know Hyperborea and I have maps, but I'd get lost here." "I'm a cousin, but we're from the same family. Family resemblance, see it?" As I point to my huge upper beak. "A quick question, have any of you been to Hyperborea before?" You're all standing in the middle of the hall! Perhaps it's better to all sit down at the table of Soil where a neighponese pony is sitting? "Nope! I don't know all that much about it aside from what Queren said!" "Okay! That's great! I'm sure you'll love it. But let's have a seat first and you can fill me in on why you're all headed there. Queren only told me to bring you into Hyperborea, but kept mum on some of the details, just in case. If you can fill me in, I can get some good routes for you." Give the crystal mare a friendly nod. "I'm Soothing Mist, acquainted with your friend Poor Soil." Wave them over to the table me and Mist were sharing. "Guys, this here is Soothing Mist. Freakiest mage I met yet. Helped me a bunch in dragon country." "Oh, hello. I'm Ferriro, I'll be your guide!" "Guess I'm the odd egg out in this meeting." "We need to get to the most northern part! The icy shores!" "… What's wrong with her eyes? Is she sick? They look all weird!" I'll unfurl the maps I brought so everyone can see them. Point to it on the map. "Okay. Umm, is there something you'll need to bring back or anything?" "I didn't actually have any plans to join up with him but… perhaps I will. For a time, while I look for my next endeavor." "As far as I know, I'm physically healthy. Thanks for the concern though, sunshine." "I need to find a friend there, too!" "It might be dangerous if you're doing it on a whim. If we travel overlna, we'll have to deal with the Wild Lands and all the beasts there." "Are both of you seeking someone? I would have thought you wanted some of the Eysrim metal." "If you say so! But if you ever want somepony to look at those eyes, I've had lots of medical training!" Go inside, all sneaky beaky like. I'll not turn this into a critfail. Anyone who wants to try to Notice Mabel though, has to make a notice check higher than 13. "Eh, you mean you don't know? People we can deal with, but in that case…"
I'll start doing the math in my head. "We have several options, but I can cut them down if you have any more details." "Could you specify what type of 'endeavors' you get involved in?" Busy making the travel plans. "Beasts? Dangerous beasts? If anything, you're actually spurring me on with that kind of talk." "You must be a skilled medic…"
Yup, but just making it a little active since if you guys do nothing nopo can do his surprise. You see a sneaky donkey coming in. "I had a vision! But my exact mission isn't clear to me yet! Who knows what we'll pick up!" "I had a lot of time to practice on myself! And on Silver too! I have to play doctor for him all the time!" "Are you talking rare metals here?" I'm sure she could help you…"
"Yeah, if you see on the map, most of the area is uninhabited for that reason. Even with all of us Gryphons, there'd be too many to deal with. And look, it's mostly snowy and cold. Whatever we don't lose to the monsters, the weather would take. I've heard some are valuable, but it's a big risk…"
"Wait, what? That's all you have? Well, um, as long as you didn't see yourself bringing back a house or something, I might be able to squeeze us in on one of those." "Let's just say I have a kind of wanderlust which compels me to find new things." "It's very kind of you to worry, but this is actually what I'm supposed to look like. All Neighponese ponies do." "The cold won't bother me at all, that I can assure you." "Oh….sorry, I never met a Neighponese pony before…"
Sneak up to the table and sit down at one of the chairs silently, doing nothing but smile with droopy ears. Wonder how long it'll take them to jump at me with their hugs. Now that you guys don't even have to roll Notice for. "Well, if we go that route, it might work, but I'm not so sure. Tell me, how are you in cramped quarters?" I keep tracing lines on the map with my claws. I kinda do, because I'm focused on the map. "If you can get them to pile up, they will go nowhere." "Cramped quarters? You make it sound so vague, what do you mean?" "Me neither! I didn't even know such a thing existed! Or wait… didn't Shortcake go work in Neighpon or something?" Turn around, and let my jaw drop. "It wouldn't have been an option if you weren't going so far north, but we can take a boat. None of you get seasick, do you?" Extra hard squeeze for you. "I told the others you weren't gone!" "I never said I died, did I?" "Technically, I was, for a while!" "No, I don't. I love water, it's in my blood. Literally, not figuratively, in my blood." "Mabel! You made it here too!" Bump my flank against hers! "What happened to you!? Lavalavalavalavalava?" "I don't think so, no!" I bet Silver is all blushy about this! "Of course I did! I missed you all!" "I spent some time with Lord Pyrrus before a friendly zebra dug me out of some ashes, then had a bit of an adventure." "I can totally do this now." "Wait, how is that even possible?" "Good to hear! Now, add the costs to get to over there, and…"
I take to the air! "Is that some elemental magicks I sense?" "Oh, back when we defeated the big undead dragon which menaced the whole of equestria!" "Soil! Where's Iris? And Indy??" At the same time point upstairs and outside. "We totally gotta call them!" "I can do this and a lot more!" Motion at the tip of my ears and at my mane. "You are right on that one." "Mabel, Priestess of Fire, at your service." "Inferni is right outside too!" I've had to save like a dozen of those just this month!" "Queren told me all about it, how dangerous it was." "But he said the Jenny sacrificed herself in the lava. Is worshiping fire enough to bring you back from that?" "Oh pleeeease we all knew she was never gonna get hurt by fire, she's got a pet phoenix! This is like, in every other adventure book!" "Teenager? I'll take that as a compliment." "I did. The fire didn't kill me. It just changed me." "Very interesting. I like that." "Do you? I suppose you are interested in more than just fire. Elements or all magic?" "I'll be honest, I only grew up with our families military stories. Rarely any stories like that." "Incredible. And as a Smith, I hope you don't mind me being selfish and ask how that happened? I'd like not to worry about getting burned when working." "OH, where are my manners? I know who you are from Queren, but I haven't introduced myself. I'm Ferriro Carmesi Pico, I'm being trained by Queren himself and he asked me to help you all in your journey." Iris hasn't come out already after all the noise we have been making? "I'm afraid you'll have to gain some favors with the Fire Lords before you can do that. Even I'm not immune to all fire and heat yet." "It's nice to meet you! I'm glad we'll have someone from Hyperborea to guide us." I'm waiting till a lull in the conversation, but I can bring her out now if you want. "All magic, I'm not a priestess at all. Natural, arcane, elemental, divine, dark, it doesn't matter. If it's magical, I try and study it. It's a pretty exciting field of study as you can imagine." "So, when can I get that Ifrit down for a rematch?" "I'd be glad to show you a thing or two." "Not anytime soon, I hope!" "So, Queren has been chatting up about us, huh? What else did he say?" "It'll be easier to bring up what he doesn't tell us. He's been busy ever since he came back, I'm sure he misses not being here with you. He always looks livelier when he talks about his friends." "They are no joke, Soil!" Accept and shake the hoof. "Well, we'll see him again soon, won't we?" "Well I know I can survive one! Now it's time to make the next step!" "That'll be up to you guys." "I have some routes for you all to look over, if you can." Finally Iris, in a pretty new dress, strolls down the stairs. "Soil, are they al-" she stops when she sees all of you and runs to Mabel. "As you can probably guess, I'm a mage. I wasn't really planning on going anywhere an hour ago, but it seems like I'll be joining you up north. For a while at least." "Does any of them have… a volcano along the path?" "I am! I missed you too, all of you! You look pretty, you know that?" "Thanks, look at your hair! I like your new look." "Any volcano along the way is going to be covered in snow too. That won't slow you down or anything?" "I'm looking for one in particular, but the kinks can be worked out on the way." She gives you a big hug. "Let me take a look at you." She grabs your cheeks and inspects your face. "Wow, you've grown, and you're twice as pretty as I remember!" "Mt. Grifjel comes to mind, actually. I would love to visit it. Let me mark it and adjust the times…"
Go back to working on the maps. "Hey! Are you saying I wasn't a grownup when we last saw each other!?" "See, they are all here. And Mist is around, too! Now we just need to go and look for Queren!" Also, what infos do I have about Flower's whereabouts? "We'll see when we get there!" "Okay, judging from what you told me, we can depart though several routes thus:"
"A. Straight run through Wild lands. Some of the merchants have talked about numerous friends of there on that route, but you can see that outside of Valdar's Crossing here, it's going to be cold and lonesome and dangerous with no ammenities. And since you can't all fly, the mountains will be a time waster. But if I recall, Mt. Grifjel was still safe enough to approach. If you want a volcano, that's it there." "B. We can detour through Picostead, and we can meet Queren there. The Midgard Forest lies right in the middle of that route, though. And there's been some issues nearby that you might want to steer clear of, too. We'll pass the Howling Mountains and still have to stop over in the Wild Lands." "C. We take a boat. There's a few docks nearby to get a boat, and lots of little places we can stop off before we even worry about making it to King's Reach. Only problem is, and not to be mean or anything, but the Ponies around the area there are always a hassle." "No, but you don't just stop growing!" "Somewhere between A and B." "Question, is this volcano still active and if so, how active?" "The ship might be safer. Much harder to attacked while you're on a ship. The river we'll have to use also stops pretty close to the volcano. It wouldn't be too much of a trip to trek to the volcano." "Don't worry. There are plenty of safe paths to and around it. It's a sacred place, we've taken care of it." "Kingsreach is under Griffon control. It's where the King lives. But from the news I've heard, there are ponies around causing trouble, some old tribes or something." "You know it best, so I will trust your decision." "You say worry, I say excited. I think I'll leave this decision to your friends though." "I can see why you'd join people like us now." Interrupt my deep, beer induced thought train. "What if you guys buy a flying balloon?" "Silver! That's them! The lost crystal ponies!" "It's mostly a matter of time. On a boat, we won't have to worry to much about getting tired. Of course, I'm not going to mention any danger. I'd feel like I'd be a hindrance based on how Queren described your battles." "Sorry, I haven't been around too many ponies growing up, so it's hard to read you all." "I'll see where the closest docks are, we can head out during the day. Nothing but smugglers at this hour. Though now I'm worried about getting your dragon on the boat." "I don't really have the resources to get one right now. I mean I could doublecheck my bags, but I don't think I have a balloon hidden in there." "What about Indy? I promise he won't set everything on fire! If we can help it!" "Hey! What more can you tell us about those ponies?" "It'll still take some time to cover that much distance. I also don't know how much you'd bring along or how to operate one." "Eh, what do you mean by that?" "Queren told me about him, so I trust Indy. It's the boat owners, crew, and passengers you'll have to convince." "I wouldn't describe them as Crystal-ly though. Something like that would have clicked with me. All I know is they'be been causing us trouble for the longest time. Like, generations of trouble, I'm sure. But if you want to meet them, going by boat is our best option." "I might still have a beef with some Wind Lords, so maybe not the best idea." "Wait, how did you manage that?!" "We think those ponies are the same ponies who got locked out of the crystal empire 1000 years ago when it disappeared!" "They did gave me and Warren a fun sleight ride." "They don't all like fire. It was somewhat upset at me for learning about it." "And yet their winds only serve to make the fires rage harder." "They've been plenty of trouble. If you can take them away to the Crystal Kingdom, I'm sure the Gryphon King will support that." "Maybe they had a spat or something? It seems weird for them to fight." "We should go their way!" "Seeing as how taking a boat is the only way to pass by there, I'll start looking around for rates." "None of you know anyone in Tall Tale or Vanhoover? That seems the best take off points." Shake my head daftly in reply. "You weren't there in the cold! It was freezing!" Lean closer as if sharing a well known secret. "Between us, they can be a bit petty sometimes." "If they come and bother you, I'll dispatch them." Snicker at that, perking one ear. "I'd rather not have to rely on that. I've heard too many stories about how strong they are." "Of course, I need some kind of target practice or my aim will get rusty." "You might be thinking about Earth elementals. Or Fire ones. Air just makes smarmy comments and boring questions!" "Uh… I think Iris is from Tall Tale!" "Whenever you doubt their strenght, just remind yourself that I was in the middle of a volcano flooded with lava when it collapsed a few months back." "I'm sure you have some fancy spell that can defeat the wind and air." "I can make a pony swim in lava like it's water. I'm practically a god, Mabel." "I can talk to some friends. Are you sure we'll take the boat?" Flick your muzzle with a hoof. "I didn't know you were from a circus too." "Queren told me the stories, but it's still hard to accept." "It'll be less hoof travel that way, and it's the best option for Amber to meet the ponies there. Plus, if we sign up as passengers, we won't have to worry about bringing to many of our own supplies. If we have to commission one, we can bring more than we need." "You'll see in Hyperborea, I bet." "Anyway, I obviously wasn't serious about that. I do have spells that can protect ponies and their items against heat and cold though." People seem to be chosing the boat option. "You know, we could just do like the last time we needed a boat in Tall Tale…"
Keep looking at you, but move a hoof over a lit candle, letting the fire lick at my hoof without flinching or anything. "Let's not start a near-civil war this time, okay?" "I don't even know what to say about it." "Queren only told me what he saw. When we have free time, you should tell me about it." "They really nailed the statue down!" "There will be time on the boat it seems! How far will we be from Neverspring?" "It will take a while!" "I was too busy freeing Inferni at the time." "See I could do that. But then I'd need to waste energy and risk a magical burnout if I suddenly need to rapidfire some spells." Pout, slowly turning my hoof around, 'roasting' it on all sides. "Awww, how sad. I don't want you to exhaust yourself right away." "If everything goes well, that might be on our route. It's the northernmost areas, but we should be able to make it if we follow the route." "I'm honestly humbled to be around such a strong mage. I just started learning how to read magic inscriptions, but being able to use magic like you describe seems lifetimes away." "Good, cuz that's where I have to be!" "Are you trying to bait me?" "Yes, it's quite amazing. What kind of inscriptions do you mean? Magic scrolls?" "I'd never! Is that what they told you about me? If anything?" "Yeah. Seems I have no real talent for it and I'll have to start off the hard way with scrolls." "To be fair… I was told nothing. An hour ago I had no plans whatsoever. I only knew Soil and Iris after traveling with them for a short while." "That's great to hear. I've never dabbled in scroll casting but it's a very useful skill to have." "That's true, ease off on the girl Mabel. She's not even had a drink yet." >What kind of boat do you want? Pull my hoof back and chuckle. "You're in for a wild ride." Motion at Soil and Amber. "Never a dull moment with these guys." The 20 bits seems cheap enough for me. Yes! Let's pay for a boat trip! I want to see the lost crystal ponies! I could just about afford paying for the ride, but 'borrowing' a ship works too. you can take it off the money you'd normally get next adventure. You sure like the lifestyle. I have some bits to spare, but I don't know how much they'll charge for Indy. I'm just gonna take 20 per player, so it's fair. Or I can have some pay more for pets, iris, etc if ya'll think it's more immersive? Actually, what's the ship's travel speed? What's the cost of a fiery burd? I should have 62 left, so that's enough for me, Soil, and Iris. I can pay for both me and Silver! The boat journey will take a total of 3 days. That's little over 7 hours of flight. Let me find the table for how much Indy can fly every day. For a total of 175. The highest is Soothing Mist. Let's see what I can do with some honeyed words. You can cut my 70bits, I'm going by dragon, we can make this REEEEEAL slow too and have no problems keeping up with the boat. The cost is slashed to 80% of the 175 if you take this offer. You can still debate other options. I say we just go with this offer. "Guys, look, me, Iris and Indy can just fly alongside you. There is no boat we can't outrun." "I was fine with paying more, but this'll do." "Subtle, I like it. Don't forget to pack some lunch though." Though feel free to keep faffing amongst each other, you're still in the inn. If any of you want to talk to Indy or Iris, or Inferni, let's go. I would like to speak to Indy. He's in the stables outside. When you get in, you see the large dragon rolled up on a neat bed of straw, with a large bowl of gems. There's a phoenix sitting on a plank above him. I don't think our other options are possible! I need to get money from my stash! Can I do that? Of course, you're in Canterlot where there's a Wells Filly Bank. You don't need to do that on-screen, unless you really want to see the bank, just tell me how much you're withdrawing/depositing from your stash. I smile and approach the dragon. "Hello Indy, you're looking stronger than the last time we met. I guess things ended up going fine for you?" Nah. I need like 45 bits from the stash! "So pray tell, what did you and Silver end up doing after Ner'Ghul?" Keep in mind you'll only be able to take out money from your stash if you're in a city or town during downtime, or wherever you are if it's a very long downtime. He lifts his head and sniffs. Look up, at the phoenix. "But I don't remember this one. Are you two together?" "Back to the crystal empire to recover and serve the princess! We… also ran into Anarchy's work again, that jerkface!" The bird chuckles as well. I swear I'm gonna get him! Did you two manage to knock some into him on my behalf too?" "We didn't actually see him though! But he sold some bad stuff to a pony which caused all kinds of trouble!" "And how did it end up?" "We fixed it, got rid of the corrupted items and restored order." "I so want to kick Anarchy's snout in!" "I guess that answers that." How big is Indy right now? His head comes to about right underneath your chin. He's big enough for two ponies to fly on him. His head while laying on the floor of course. "Why are you here, miss Mist?" "Me too, but he's so slippery! If we ever want to get a good chance at him, we're going to need some divine help!" "Well that's your deal! What are you two waiting for?" "Strength! We need to become stronger and train our abilities!" "Coincidence, really. I only just got back to Canterlot and already I'm planning to join you all on a trip to an entirely different country. What could possibly go wrong, right?" "We tend to get into a lot of fights with bad monsters.". "Stronger than this? I feel like I might burst if my legs grow any bigger!" "It's more about me and silver being able to use our divine powers better." "Bah. One of these days I might just go hunt Anarchy down on my own then." "Good, I love a good royal rumble. And so far you're one of the few dragons not trying to roast me alive as soon as I show myself." "That's the problem, you can't really. You need to counteract his own divine powers he got from Discord! No matter how hard you slam him, he'll just use some freaky chaos spell to bend his way around it!" "I don't believe that, and I'm gonna show you!" "I'll cook you some Neighponese dishes sometime. Be warned though, not everypony who's not used to it likes it." "We already tried fighting him once using raw power! It just doesn't work!" "Guess I will need rawwer power!" "Oh, and I did hit and hurt him, too!" "What kind of food is Neighponese?" "Tell me, have you ever heard of ramen?" "We just need to get stronger first then we can really nab him." "A kind of soup with soy, vegetables, seaweed and a bit of seafood. It's fantastic, as you can imagine." "I like seafood. Tastes almost as good as gems. Small fishies. But Ma doesn't like me eating them." "Seafood is somewhat popular in Neighpon. I noticed it's seen as a bit unusual here in Equestria. I guess I can understand why." "I didn't know ponies eat fish." "It's an acquired taste. And not very healthy for us. But well, when has that ever stopped somepony from enjoying things?" "I've never been to Neighpon. Is it far away?" "It's not close-by. And we're a little… xenophobic. I haven't been there in some time though, so maybe things changed. I've lived longer in Equestria than Neighpon by now."